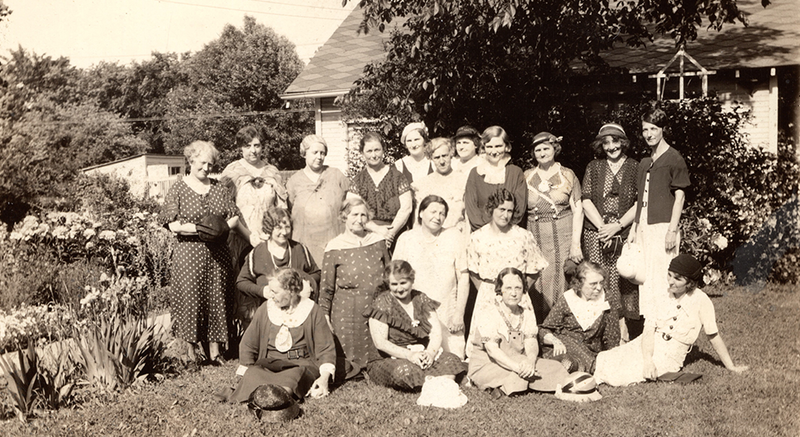 Organized on May 28, 1926, under the name of the Lombard Flower and Garden Club, the first meeting was held in the home of Mrs. Jacob Brecket. The officers of the club were chosen with Mrs. Nora Wegner as President. In July of that first year, a poem written by Mrs. Albert Lambert was unanimously adopted as the club motto and still appears in all club yearbooks. 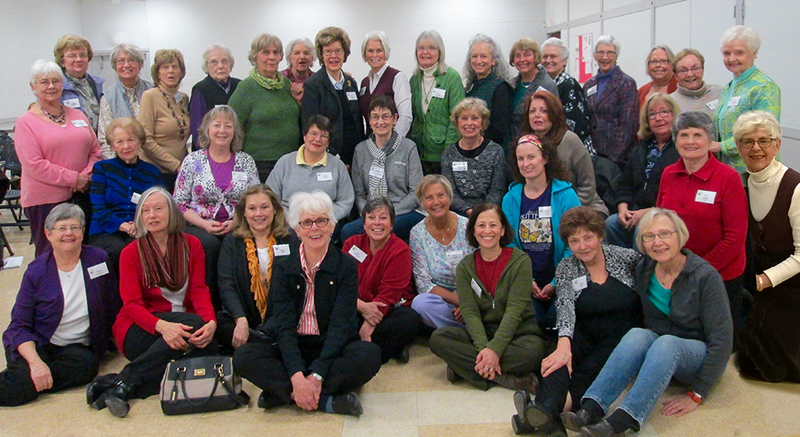 The following year, the Garden Clubs of Illinois, Inc. was formed and the Lombard Garden Club became an early member and has continued its association to the present. During the 1930s one of the outstanding projects of the state organization was the Lincoln Memorial Garden in Springfield. The Lombard Garden Club donated money, labor, plants and expertise for the wild flower plantings and the erection of a rustic bridge. The garden was completed in 1939. Members supplied and cared for plantings in Lilacia Park, at the Plum Library, at the Chicago and Northwestern and the Chicago, Aurora and Elgin railroad stations. They beautified the village hall grounds. In 1931 the club donated a flagpole (with name plate) to be erected in the park. Money for a drinking fountain was also donated. They held card parties luncheons, dinners, sold lilac bushes and flowering shrubs and special poster stamps to finance these efforts. For many years club meetings were held in the homes of members. When the club became too large, they moved the meeting place to the Mayflower Apartment building, and in 1939 moved to the village hall, then located at 48 North Park Avenue. Since 1959, the club has met at the Community Building at the Lombard Commons. The Chicago Plant, Flower and Fruit Guild was organized in 1926 to supply flowers, fruit and jellies to Settlement Houses and Veterans Hospitals. These contributions were taken to Chicago by the C&NW and CA&E railroads. The Lombard Garden Club was very active in this cause until the railroads could no longer handle the distribution. Beginning in 1927 and for many years after, the club held an annual flower show. Members have entered numerous award winning exhibits in the National Flower Shows in Chicago and other local and state shows. Summer garden walks, winter house walks, craft projects and speakers have been part of their annual activities. Interested in encouraging the love of gardening at an early age, the club has helped school children observe Arbor Day and hosted grade school garden clubs in Lombard throughout the years. During the late 1990’s the club joined the efforts of the Lombard Park District to establish a prairie at the Terrace View Park. Students at Park View School helped with the original planting. Initially the club made financial contributions, but as time progressed members became more directly involved. Faithful members organized weekly work days to establish a thriving natural area with good biodiversity. Initially the club conducted tours of the prairie for school children. Eventually the club and Park District joined with the Historical Society to host Prairie Days for the entire community. During its 90 years, the Lombard Garden Club has given gifts to the Plum Library, the Lombard Park District, Maple Street Chapel, and other organizations. The Lombard Garden Club gave the largest cash donation to the Lombard Historical Society after the museum was opened, and it continues to be a supporting member. Annually it provides a college scholarship to a graduating Lombard student. Recently, the club donated and planted hundreds of daffodils to outline the Lombard Cemetery (also known as Babcock's Grove Cemetery) in town and contributed to landscaping at the Peck Homestead and Maple Street Chapel. Members have maintained a Butterfly Garden in Lilacia Park and worked with the Park District to create Monarch Way Stations in other parks.